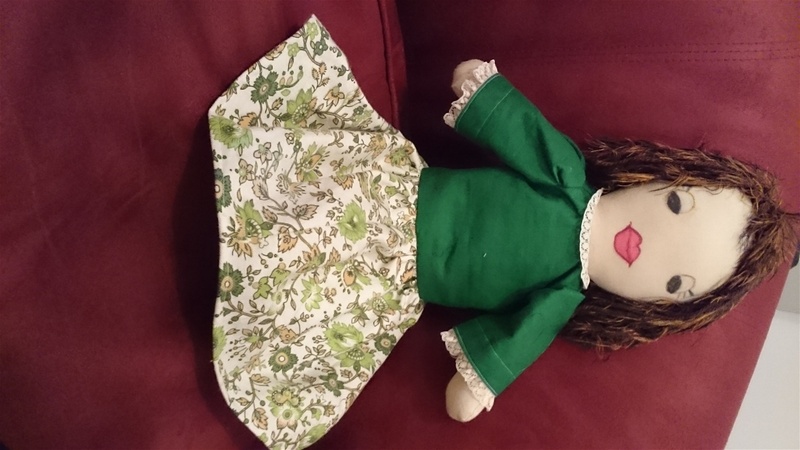 Molly is a sweet doll 45cm when standing. Her body is muslin stained with coffee, vanilla essence and cinnamon. Filling is hobbyfill. 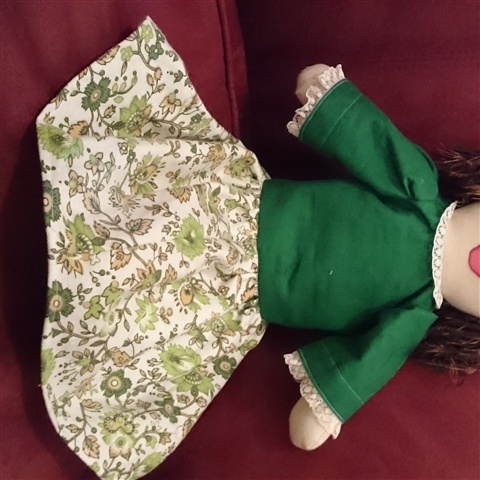 Her bloomers have lace trim and elastic waist. 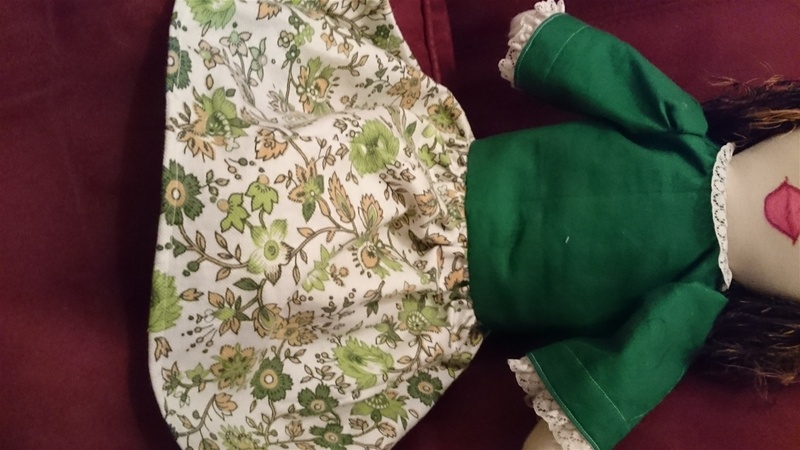 Her green bodice is fully lined with lace trim around neck and sleeves. Skirt is joined to the bodice. Back fastening is Velcro. 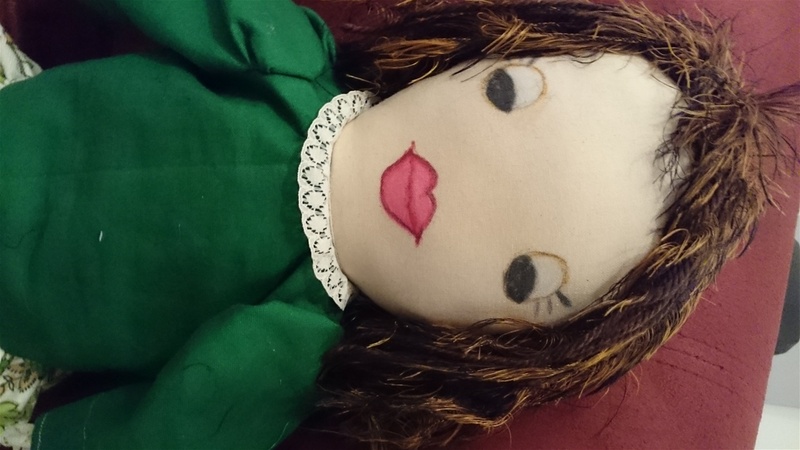 Face is drawn on and acrylic hair is sewn onto head. 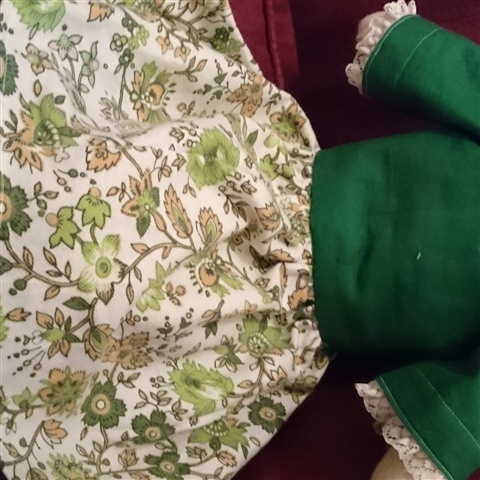 All clothes are removable and washable. 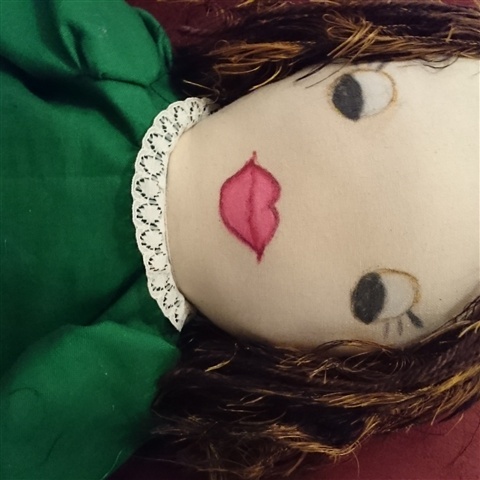 Molly is a child friendly doll with no small parts. She would love someone to cherish her. $14.00 plus postage.